Face recognition using 3D images is an important area of research due to its ability to solve problems faced by 2D images like pose changes. In this chapter, a 3D face range recognition and compression system is proposed and the effect of using compressed 3D range images on the recognition rate is investigated. Compression is used to reduce the file size for faster transmission and is performed using the Set Partitioning in Hierarchical Trees (SPIHT) coding method, which is an improvement of the Embedded Zerotree Wavelet (EZW) coding method. Arithmetic Coding (AC) is also performed after SPIHT to further reduce the amount of bits transmitted. Comparing the uncompressed probe images and probe images compressed using SPIHT coding, simulation results show that the compressed image recognition rate ranges from being lower to being slightly higher than uncompressed probe image recognition rate, depending on bit rate. 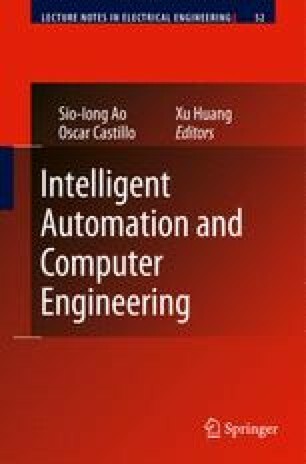 This proves that a 3D face range recognition system using compressed images is a feasible alternative to a system without using compressed images and should be investigated since the benefits like smaller file storage size, faster image transmission time and better recognition rates are important. Identix. (2005). FaceIT surveillance SDK http://www.identix.com/. Saha, S. (2000). Image compression – from DCT to wavelets: A review, http://www.acm.org/crossroads/xrds6--3/sahaimgcoding.html.